When employees are healthy and happy they are productive, engaged, and motivated. Organisations not only have an ethical obligation to take an interest in employee health, but also a financial one. Healthier employees mean fewer costs, less lost time, better customer service, and higher retention. This is why so many organisations are offering workplace wellness programs to educate employees and assist them in achieving better health. When employees are engaged in a wellness programme, they report perceiving themselves as healthier and more productive. They also have a more positive attitude towards the organisation and their work. It’s clear that workplace wellness programmes offer benefits to both the organisation and employee but getting employees to buy into these programmes and actively participate is a unique challenge. Low participation and engagement matters on a number of levels. Fundamentally, it is not good for business or workplace relationships for an organisation to reach out to staff and not get a response. More importantly, employee wellness programmes have massive benefits for both the organisation and the employees. So, if employee engagement in wellness programmes is necessary for success, how can organisations increase participation? When employees are asked to participate in something, they appreciate the feedback. Measurement and feedback are motivating because it shows action and progress. When someone makes an effort to contribute to any cause, they want to know that something has been done or affected as a result. When an organisation launches a wellness initiative like a walking challenge, employees can become engaged and motivated by showing them results: tell them how many staff are signed up and the total number of steps taken as a company. This is not only motivating for employees, but it helps to ingrain wellness in the organisational culture. Leadership commitment drives employee engagement. Any successful organisational initiative starts with the commitment of its leaders and relies on their continued support. Wellness should be a part of the core organisational values. Leaders and managers also need to lead by example. If employees see their managers working long hours, it is natural for them to assume the same is expected of them. Employees need to feel confident that they can take time off, achieve work-life balance, and make healthy decisions without fear of appraisal. Ideally, the organisation’s leadership and frontline managers will take an active role in encouraging healthy decisions. When organisations develop workplace initiatives without employee consultation, they are doomed to fail. When an end user is not involved in the design and implementation, mistakes are made, and rework is needed. This applies to employee wellness initiatives as much as it does to products and services. 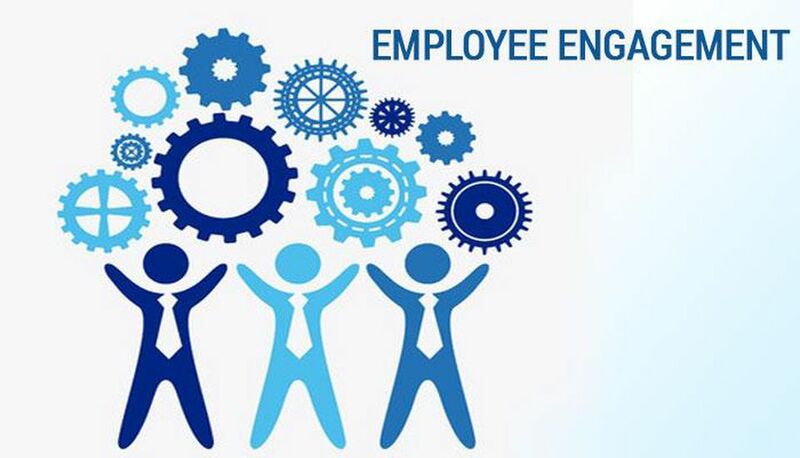 Employee engagement in wellness programmes will be most successful when employees are giving ownership of the programme, understand its benefits, and have an ability to make changes. Needs assessments, focus groups, and customer surveys are great ways to find out what health and wellness topics and activities are most important to employees. Committees are an excellent way to provide employees with ongoing ownership of the programme. Remember that nearly 70% of employees said that they do not participate in wellness programmes due to lack of awareness. Creating a great employee wellness programme without a communication plan is a misuse of time and money. It’s the organisation’s responsibility to promote the programme by telling employees what it includes and how they can be involved. As with any good communication, the messages must be frequent, varied, multi-channel, and tailored to the audience. Wellness programmes are a powerful tool that can make a major impact on the lives of employees and their ability to contribute to the organisation. It’s important that leaders understand what elements are necessary for the long-term success of a wellness programme. One of those elements, and possibly the more critical, is employee engagement and adoption of the program. If you would like to know more on this topic we have a webinar coming up on the 24th of July at 11:00am register here.